Dozens of cooperative sugar mills in Maharashtra are selling sugar below the minimum selling price (MSP) to beat slowdown in pick up, and improve their cash flow to pay cane arrears to farmers. While these mills are making invoices at the MSP, they are offering cash incentives to purchasers to bypass the regulatory eyesight. Under the law, selling sugar below the MSP is an offence. Hence, the mills are not leaving any room for the government to nab them in this malpractice. “We have also heard that mills are selling sugar at below the MSP. This is a bad practice. Some cash discount is given to the buyers to bring goods back to the market again. They would come into a great difficulty if the government starts investigating their books,” said Prakash Naiknavare, managing director, National Federation of Co-operative Sugar Factories (NFCSF). Sugar mills are currently going through a massive slowdown in pick up from the bulk consumers, including ice cream and beverage manufacturers. In fact, a lot of trade took place ahead of the Rs 2 a kg-increase in the MSP to Rs 31 a kg announced on February 15 resulting into a full pipeline of inventory. In the spot wholesale markets, sugar prices are hovering slightly above the MSP for long because of supply surplus. 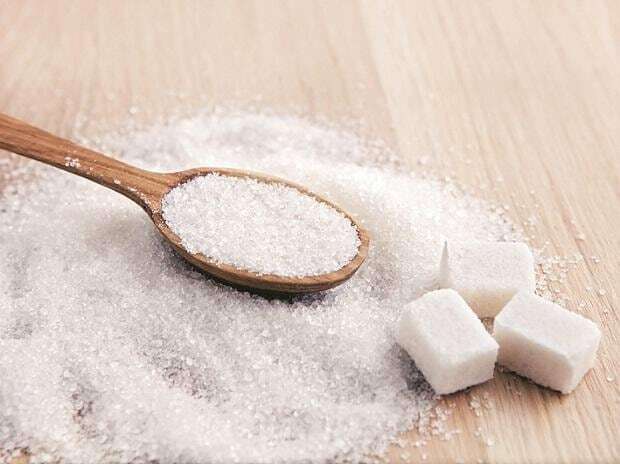 Industry body Indian Sugar Mills Association (Isma) has estimated 8.3 million tonnes (mt) of sugar output in Maharashtra by the end of February compared to 7.47 mt in the year-ago period. Of the 187 mills that started crushing this season, six have shut down for the current season because of lack of cane. 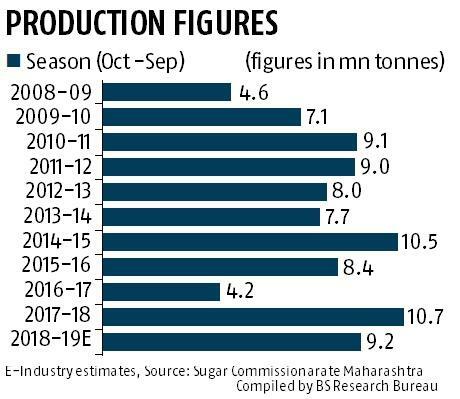 Mills in Maharashtra are set to close the season relatively early this year, with forecast of less sugar output this season, becuase of early start of crushing. Khatal urged mills not to indulge in wrong practices. “The government has raised the MSP at the behest of the industry. Now, the industry must adhere to the government’s prescribed guidelines,” he added.